What Does Radiant Floor Heating Cost In A Washington D.C. Living Room? The nation’s capital, Washington D.C., has always had foreign delegations from the countries of the world while boasting an increasingly diverse ethnic population. With over 200 years as the national capital, Washington is brimming with a unique history of its own, developing as a complex and layered city with multiple personalities. Not only has D.C. become home to the federal government, but it has also “attracted a diverse mix of government workers, members of Congress from every state, foreign emissaries, lobbyists, petitioners and protestors,” explains washington.org. Located in the mid-Atlantic region of the U.S. East Coast, Washington, D.C is bordered by Maryland and Virginia. 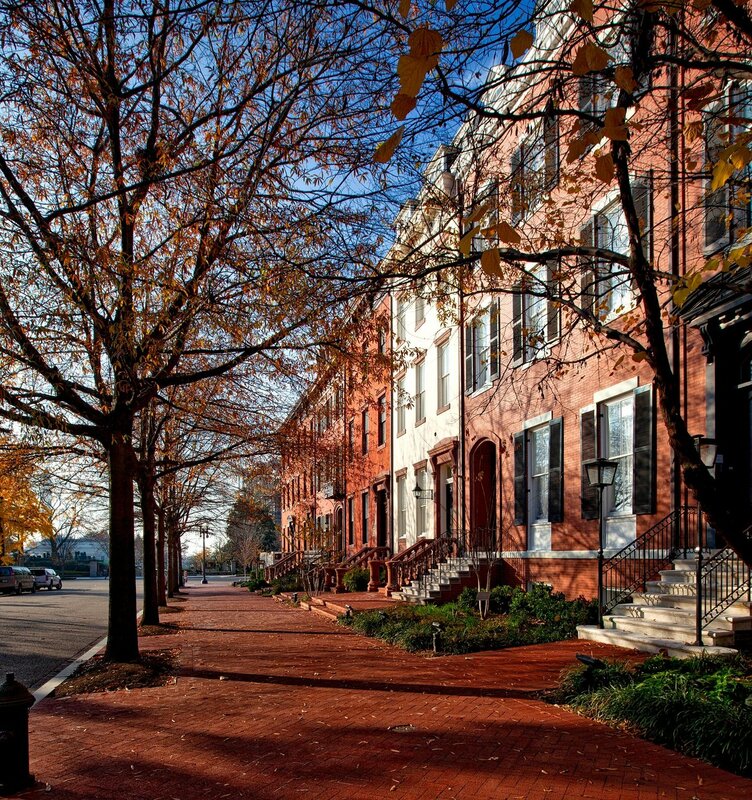 Currently, D.C.'s real estate market is hot with a median home value of $502,600. Home values have gone up 7.2% over the past year and Zillow predicts they will rise 3.2% within the next year. Statistics show that home buyers often remodel upon moving into a new home with radiant floor heating as one of the top home improvements. People in D.C. experience at least three months of below-freezing temperatures in a typical year. With annual snowfall averaging 15.5 inches, WarmlyYours’ radiant floor heating is the perfect solution to keep them warm all through the below-freezing temperatures! Let’s be honest, when was the last time you recall walking on cold floors as pleasant and comfortable? 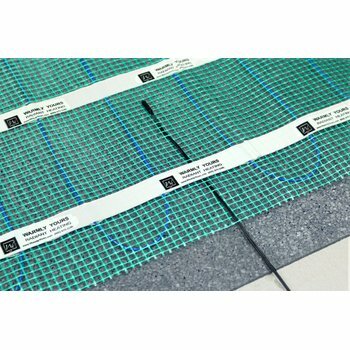 In-floor radiant heating will not only add value but also luxury to your living room floors. In this new homeowner’s case, adding radiant electric heat to a large living room was a very affordable way to bring the welcoming warmth and comfort of floor heating to their routine. To incorporate floor warming, this Washington D.C. homeowner installed a 1.5- by 60-foot TempZone™ Flex Roll in their 131-square-foot living room for $855.00 at a cost of just $9.50 per square foot (see floor plan). The cost to operate the system should also be taken into consideration. WarmlyYours’ Energy Use Calculator shows it only costs 42 cents per day to heat this living room for eight hours a day and according to our Heat Loss Calculations, it costs just $24.62 to heat the living room during January, the coldest month of the year. 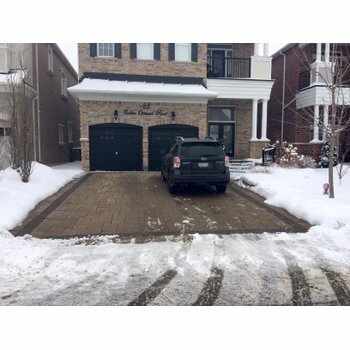 Best of all, the annual operating cost for the heated floor is $113.74 — a small price to pay for the comfort and luxury of a radiantly warm living room with soothing warm floors. An added benefit is that the radiant heating system can be the primary heat source for the room so there’s no need for additional heating. Don’t Miss Out On Your Free Instant Quote! 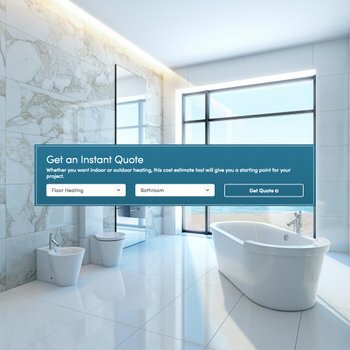 If you’re wondering how much your living room or any room where you desire floor heating will cost, you can use our Instant Quote tool to find that out. By simply entering your project information, you will receive the recommended products along with their cost. In addition, our SmartPlan™ installation plan will specify all the relevant information you will need to get your project underway. To obtain a custom installation plan for your room, you can submit a floor plan online, send it to your account manager via email (sales@warmlyyours.com) or fax at (800) 408-1100. Believe you can and you’re halfway there! If you are a DIYer and prefer installing the system yourself, we’ve got you covered too by offering 24/7 installation support to guide you through each step of the process! Our technical experts are available day and night for your convenience at (800) 875-5285. WarmlyYours is there for you whenever you need us.